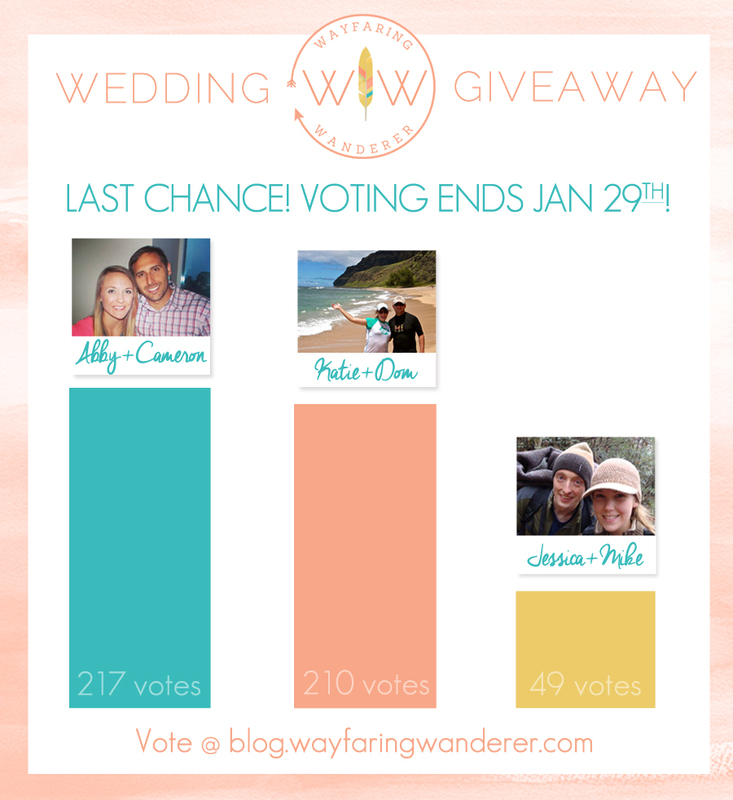 A total of 648 votes were received over the course of the Wayfaring Wanderer Wedding + Engagement Photography Package Giveaway! WOW! I really loved seeing the show of support being displayed by all of the awesome peeps voting for the couples they were rooting for! Made me feel all warm and fuzzy! As you know, the Grand Prize winners were chosen based on the show of support from family and friends of the finalists. 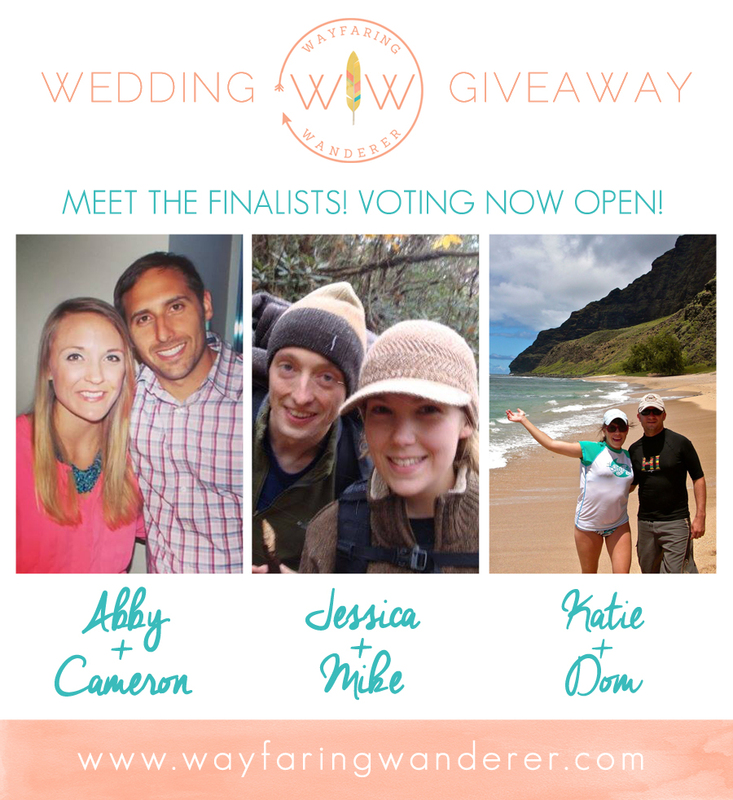 It was an extremely close race and Katie and Dom only won by 15 votes so each and every one of your votes was crucial, so thank you for taking the time to participate in this fun event so they could win a Boone wedding photographer! 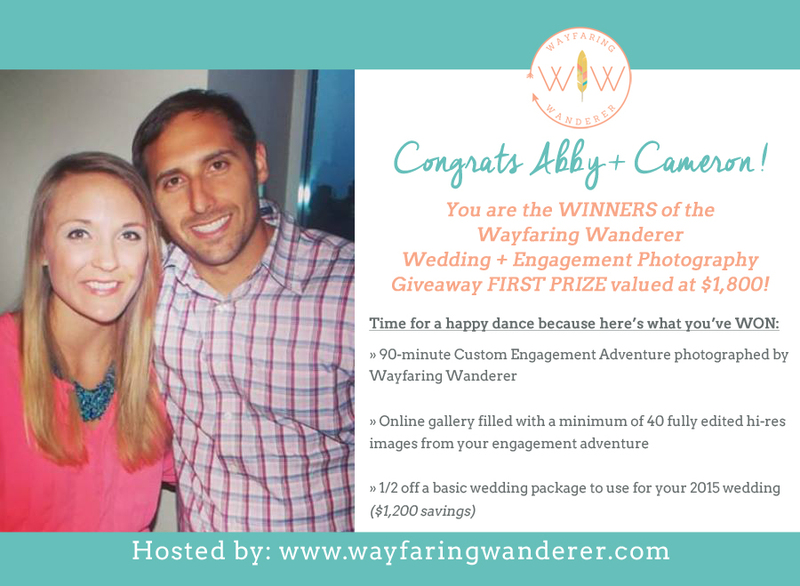 This was the most exciting giveaway and I am so pleased to announce the winning couple. CONGRATULATIONS TO KATIE + DOM! 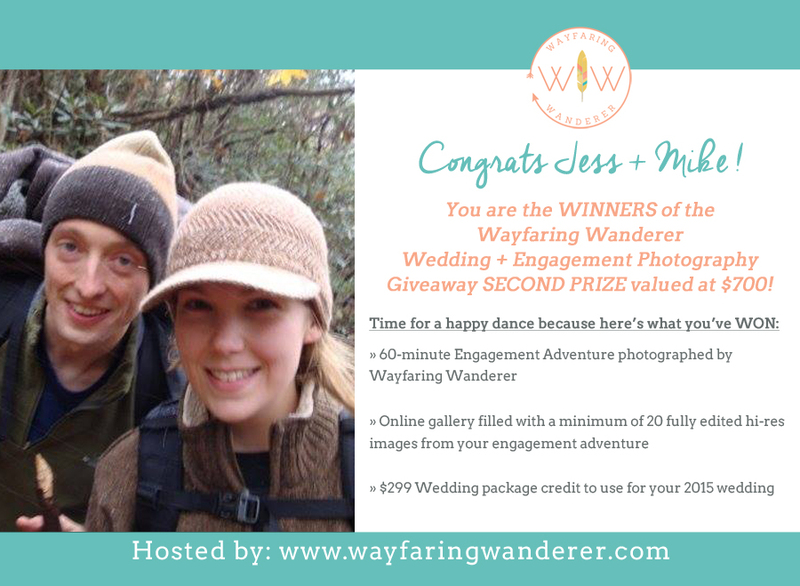 You are the WINNERS of the Wayfaring Wanderer Wedding + Engagement Photography Giveaway GRAND PRIZE valued at $3,000. 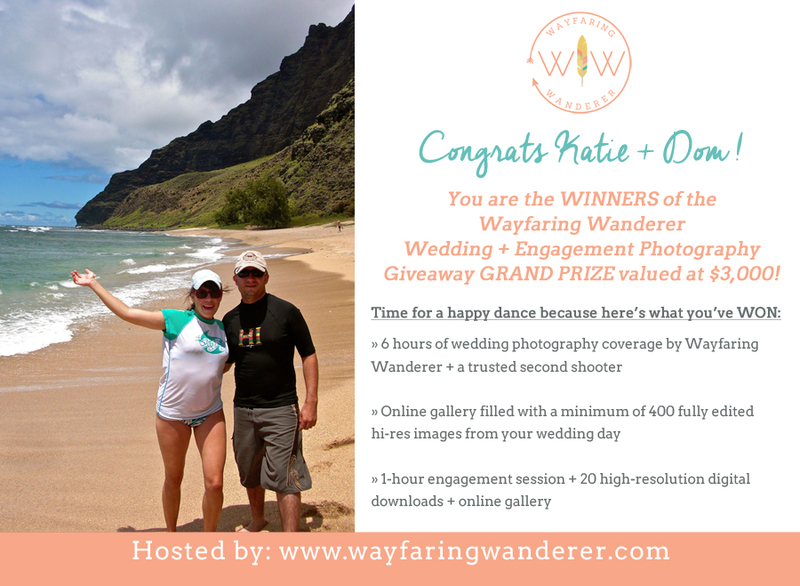 I wanted to host this Wedding and Engagement Photography Giveaway because sharing my gifts with the world makes me happy. The costs associated with having a wedding can be cumbersome so this was my way of giving back to couples that truly want beautiful wedding and/or engagement photos without the cost constraints. 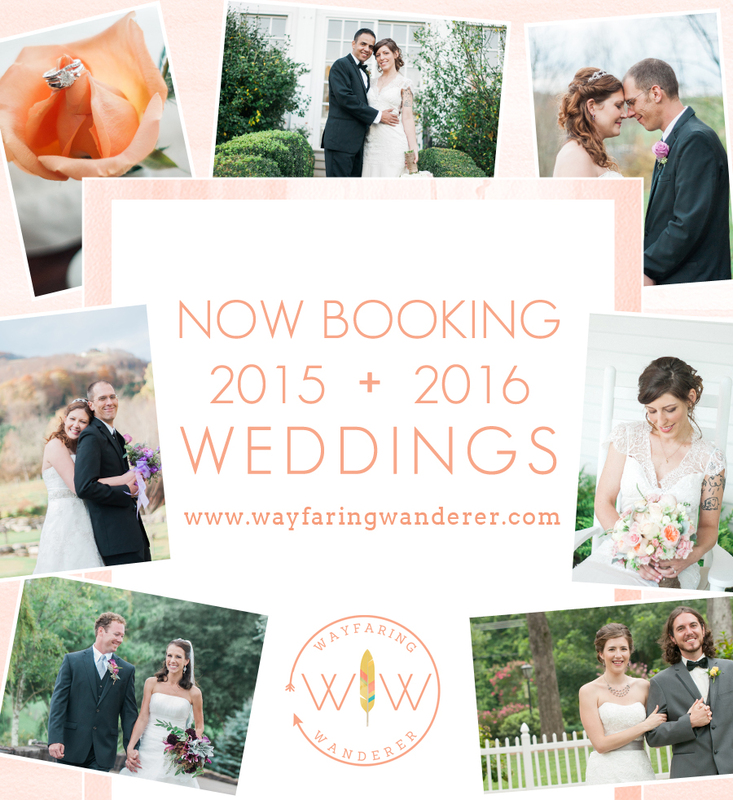 If you have any friends or family that you know who will be getting married soon, please be sure to share my site with them because 2015 dates are booking quickly! One of the reasons I decided to host a wedding + engagement photography giveaway was because I KNOW what it's like to plan a wedding on an extremely tight budget, but it's more than that, too. 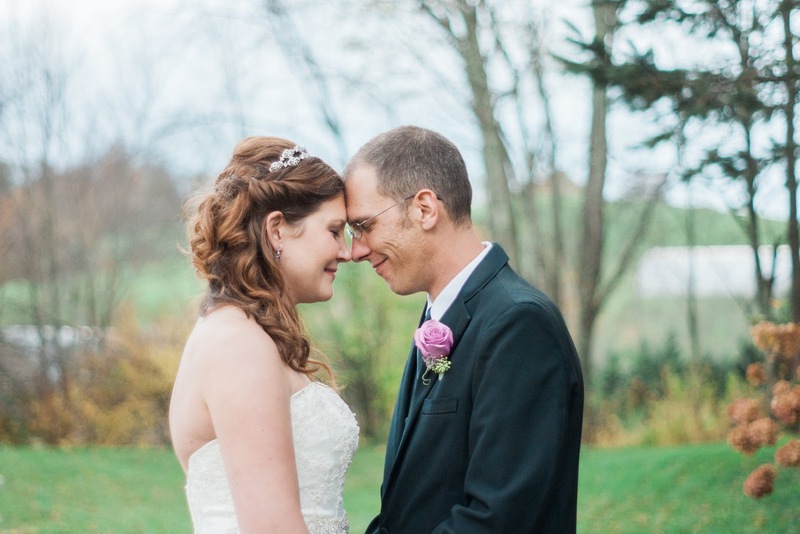 When I got married last summer it reaffirmed to me how important wedding photography really is because now I have wedding photos that will help me relive how awesome our wedding day was over and over again. These images are priceless to me! Our photographer, Kimberlee Edwards Photography, was incredible and helped our experience in front of the camera be as painless as possible. I bet you'd be shocked to know that I get shifty when having my pictures taken, too, so it was eye-opening to be on the other side of things for a change. 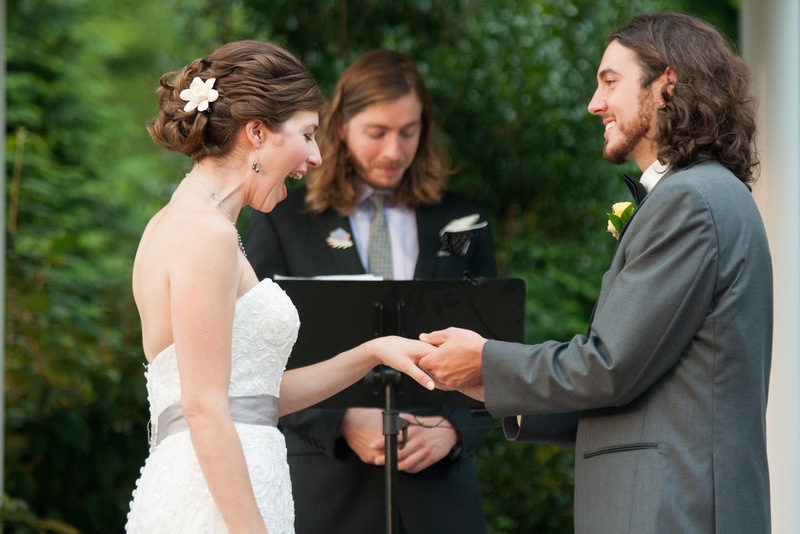 Your wedding day is an epic adventure from beginning to end and your wedding photography is a big part of that. 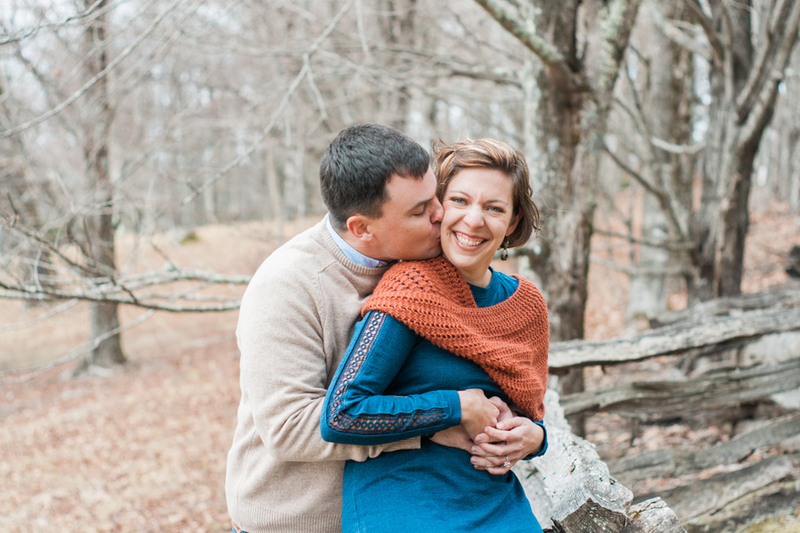 You might not realize this but your wedding photographer is with you (practically) ALL DAY LONG, which is why you want to find someone that you click with. 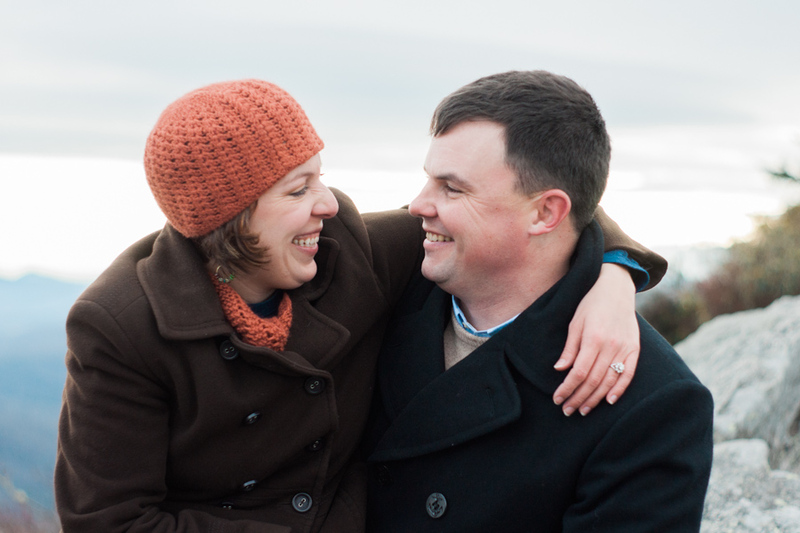 I think your wedding photography should be fun and feel natural so you can just be yourself and enjoy your special day. My goal is not only to capture real moments as they naturally unfold, but it's also to ensure that you're having a great experience that won't distract from what really matters which is celebrating the commitment you're making to one another and the journey that you are about to embark upon together while spending time with those you love! I had chats with 6 of the contestants who entered the Wayfaring Wanderer Wedding + Engagement Photography giveaway a few days ago, and since then I have been mulling over my decision about which 3 finalists to choose for an opportunity to win the grand prize. I said that I wanted it to be tough but I don't think I realized how hard it would really be! In an awesome turn of events, one of the couples that entered decided they didn't want to wait for the outcome of the wedding photography contest, so they went ahead and BOOKED me for their wedding day, which disqualified some peeps that were getting married on the same date. However, I was still left with some super tough decisions to make! There were so many different factors that went into my thought process about which couples to choose but it ultimately boiled down to who I felt would be the most excited to have Wayfaring Wanderer (ME!) capture their wedding day. Thank you so much to all of the adventurous couples that entered the giveaway! 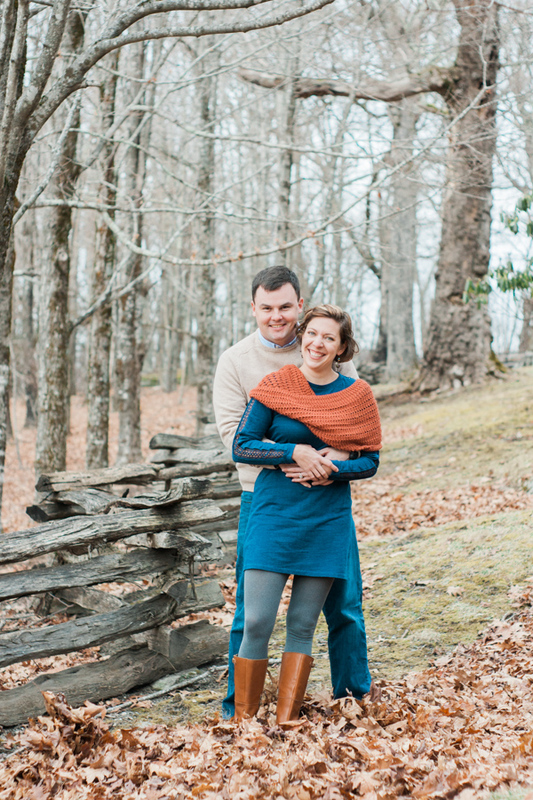 As a gift of gratitude for entering, I would like to offer you a complimentary (FREE) Short + Sweet Engagement Session (valued at $249). 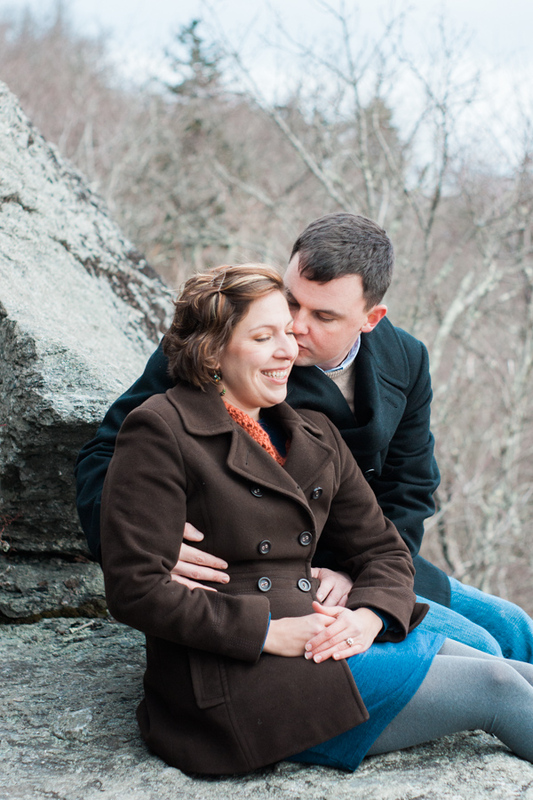 These mini-sessions would take place at a location we select together in the Boone area and are 20-minutes long. You will receive a minimum of 10 high-resolution digital downloads in an online gallery within 14-business days of your session if you choose to take advantage of this special. These images can be used for save-the-dates, announcements, gift prints, guest book, and for displaying at your reception! Your session must be booked and photographed before April 30th, 2015 and is subject to my current availability (weekends are excluded from this offer). Send me a message to get your spot reserved or to find out how you can book me for your wedding day! I'm extending my 2014 pricing to all those who entered. 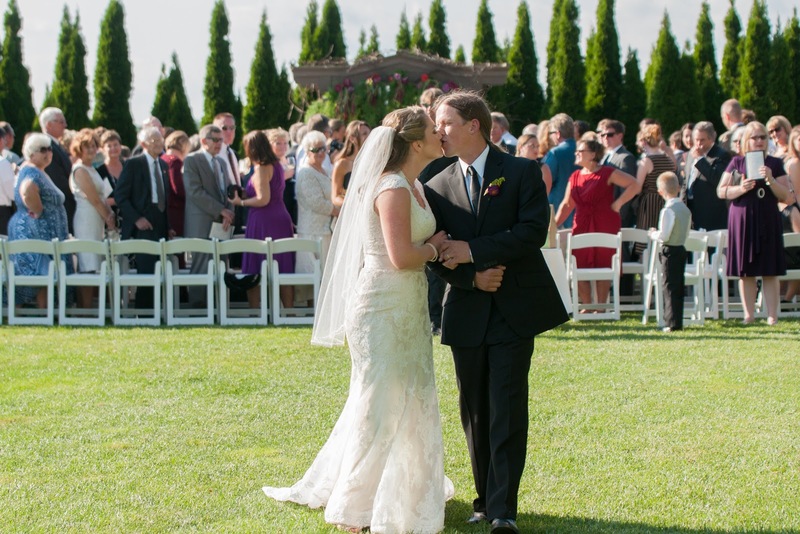 Packages start at 2,449 and hourly rates begin at 500 for events with less than 50 people. View more details on my website here. Now, on to the finalists I have selected! Now it's up to YOU to help me decide who WINS! Cast your vote below and tell me WHY they should WIN the grand prize! When you find that special someone that you want to spend forever with being apart from one another can be grueling. You chat on the phone, send messages, facetime, or Skype but what you really want to do is hug their neck and plant a wet one on those hot lips, am I right?! If Cody and I spend more than a few days apart I get antsy, so I can't imagine if we lived in different states like Leslie and Wes. 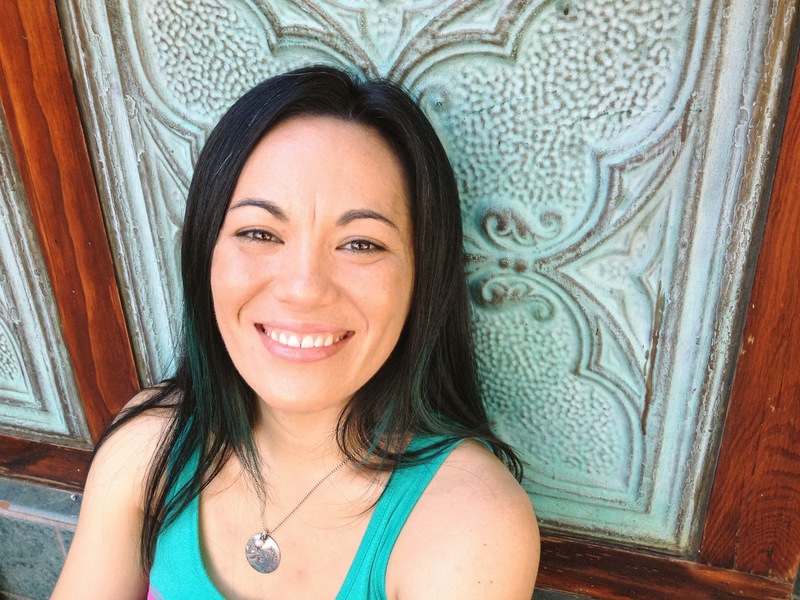 Currently, Wes is stationed in Virginia and Leslie resides in Raleigh, NC where she teaches Spanish. 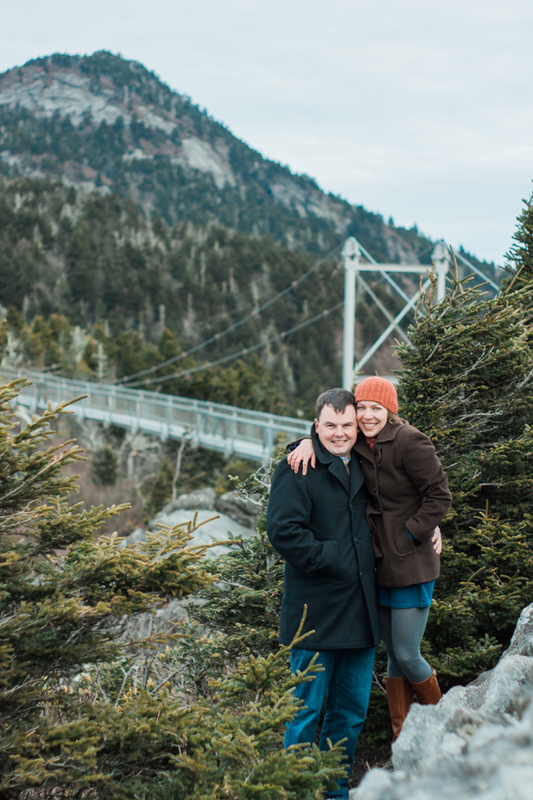 These two are planning a wedding this summer on Sugar Mountain so their long-distance love won't stay that way for too much longer once they are married. Leslie had her heart set on a snowy photo session, but the forecast didn't cooperate, so I came up with some other creative engagement photo ideas. 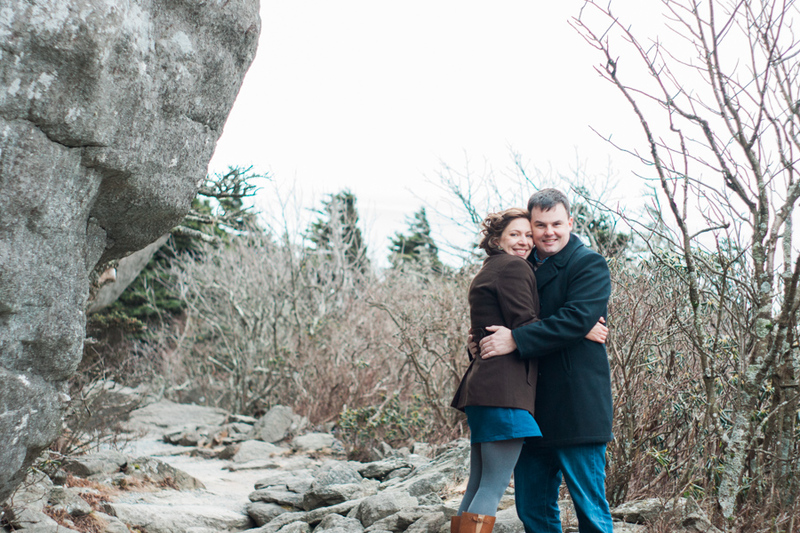 One of the engagement photo location ideas I threw out that Leslie liked from the get-go was Grandfather Mountain. Apparently, they tried to visit the tourist attraction a little while ago when they were in town but it was too cold so the bridge was closed. 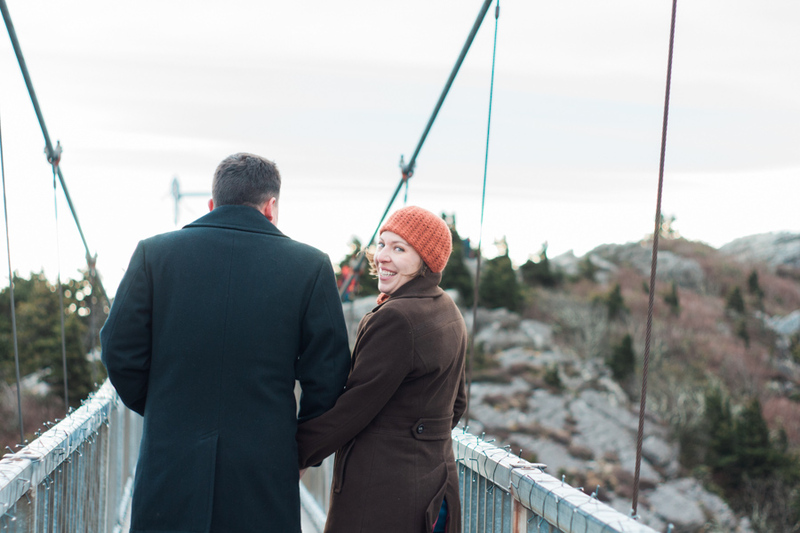 It's not as much fun if you can't go up to the Mile High Swinging Bridge to see the views! 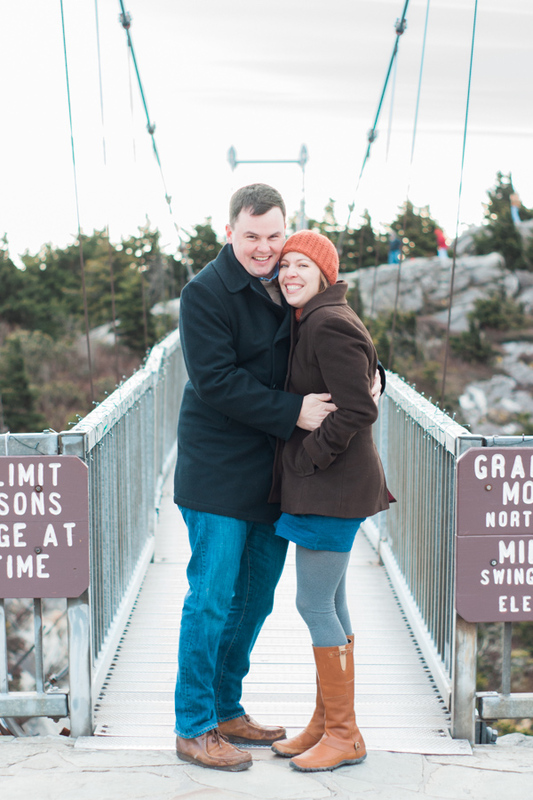 Normally, the admission charge to get into Grandfather Mountain is $20 per person for adults. 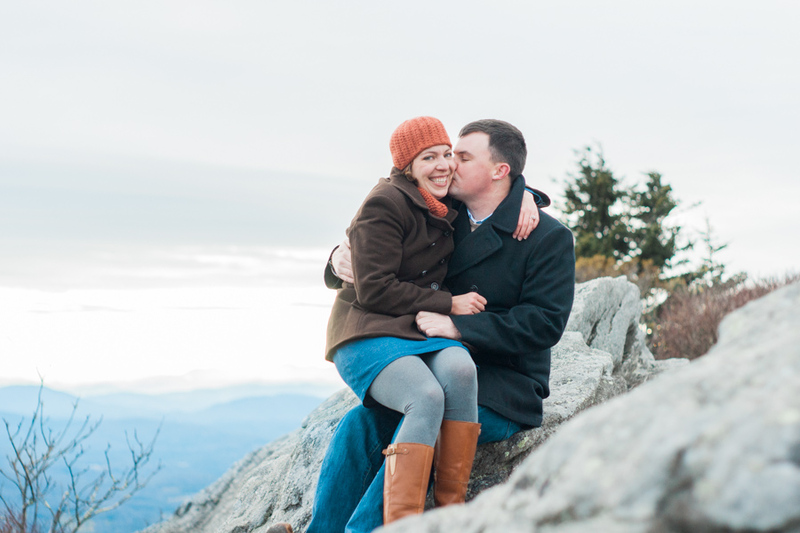 For that reason, this usually wouldn't be a viable location to do an engagement session due to the high cost but every year in December they offer Dollar Days to local residents, so I was able to get us in for $3 per person. A few years ago Dollar Days used to be $1 per person but I suppose they've had to go up. Once we were past the gate, the three of us slowly made our way up the windy road in Wes' bright orange jeep. 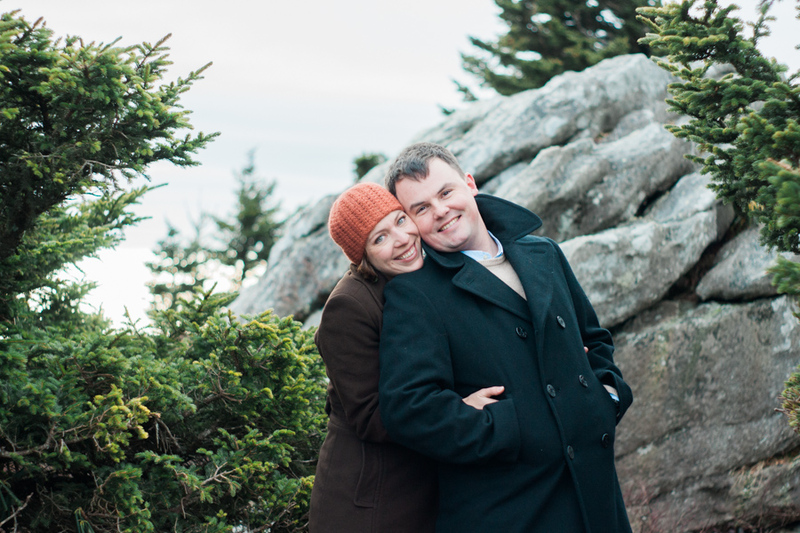 We stopped at various overlooks along the way so that we could get some variations in our backdrops, and so that we could avoid the colder weather up top for as long as we could. From my experience, I know that it's always a lot colder and windier up there because you're at such a high elevation. Despite the bitter temperatures Leslie and Wes took it all in stride. They laughed and enjoyed the adventure as crazy as it was. I love working with laid-back couples that like to have fun and can be silly together no matter what gets thrown their way! I really wish that I wasn't already booked for Leslie and Wes' wedding day because I had a blast hanging out with these two. Simply send me an email at wayfaringwanderer@gmail.com or message me through my website contact form because I'd love to find out how I can best help you! 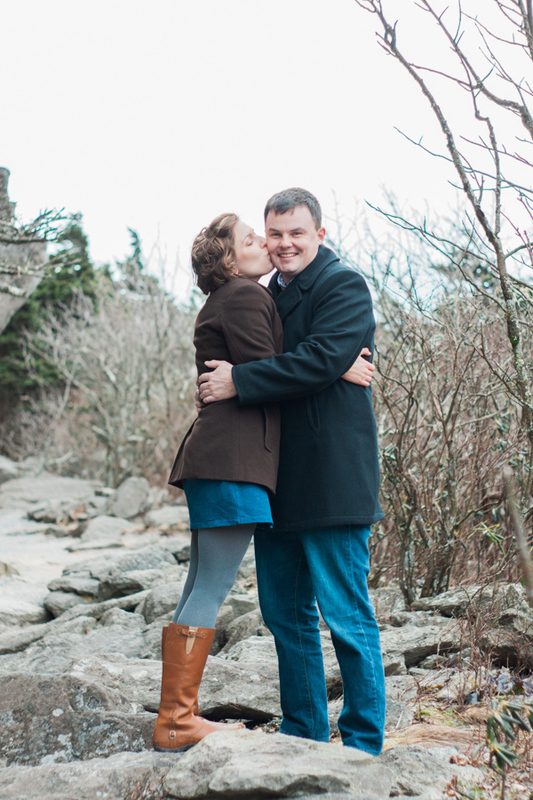 Now BOOKING 2015 engagements + weddings! I will be making some announcements in the next few weeks that will be shared in the Weekly Wander if you want to know the inside scoop. Weekly Wander subscribers will get the details first, so I recommend that you sign up to GET NOTIFICATIONS if you don't want to miss it! As a wedding photographer you wouldn't think that I do much to assist my couples in helping them plan other parts of their wedding day, but I like to make myself as useful as possible, so I do everything I can to offer guidance along the way. 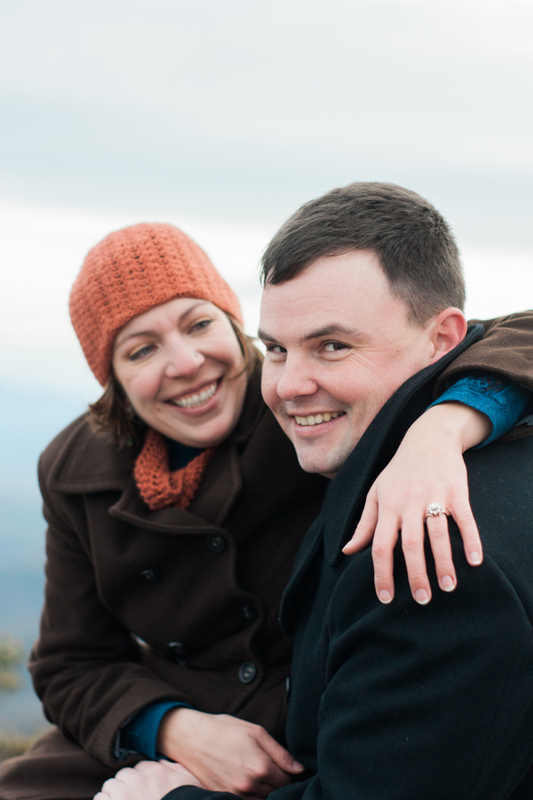 The majority of the couples that I work with aren't Boone, NC locals, so it’s a little bit more challenging for them to get the information they need to help plan their wedding. While there are some great wedding planning resources out there that can point you in the right direction, like the ACES website (Association of Consultant & Event Services) and the High Country Wedding Guide, I still prefer to recommend the wedding vendors that I've worked with personally because I want to promote the folks that I can recommend firsthand. Magical things happen when you get an awesome group of wedding vendors together which is why this list exists! 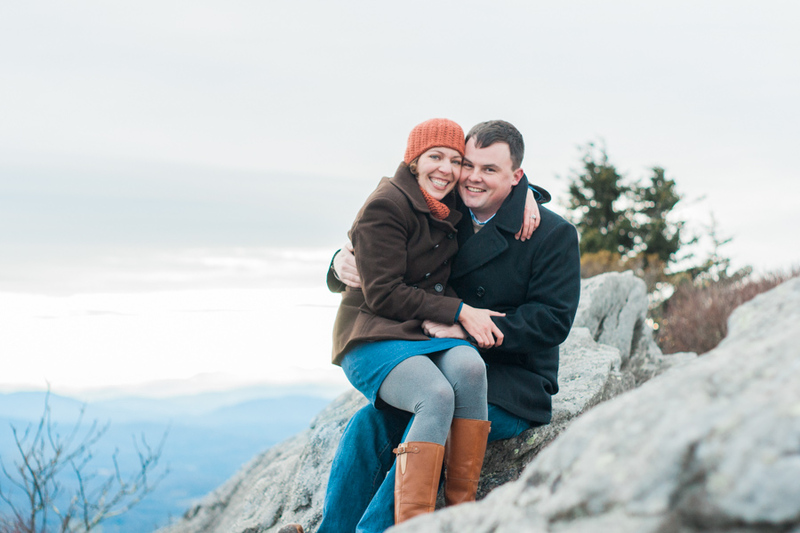 Over the last few years that I've been an NC-based wedding photographer, I've had the opportunity to work with some of the most talented folks in the wedding industry up here in the High Country. 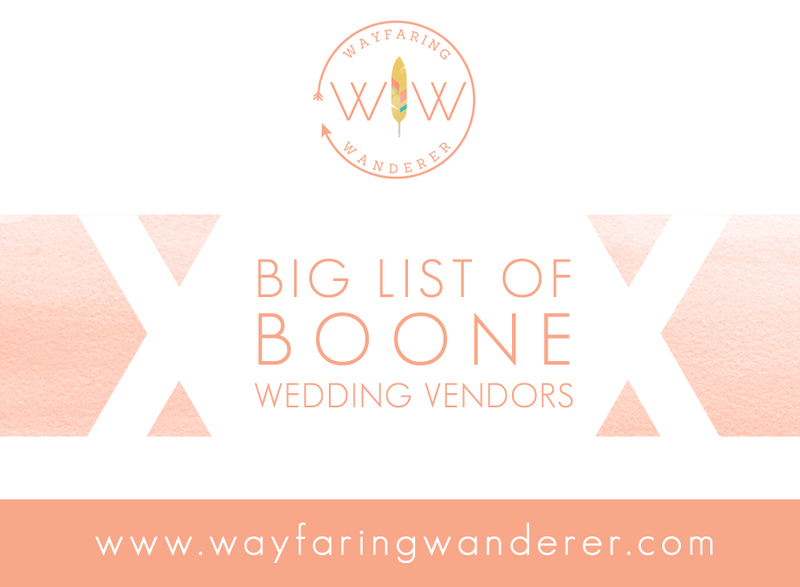 While this is not an extensive list of all that there is to offer up here in Boone (and beyond), these wedding vendors are the ones that I've had the pleasure of working with and highly recommend! 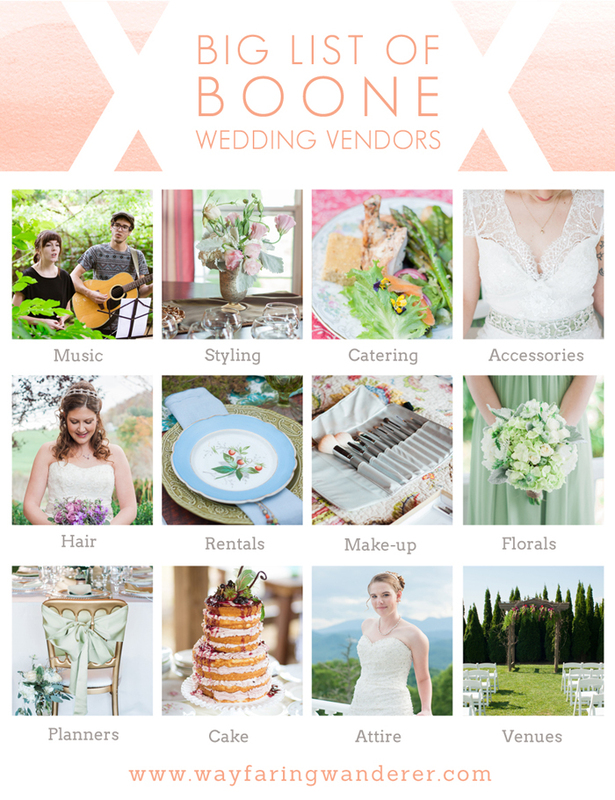 If there's a particular Boone-based wedding vendor that you would like to work with, don’t wait to contact them, because availability is already extremely limited at this point, so booking in advance is definitely suggested. I've already had to disappoint a number of brides because I no longer have their wedding date available—it makes me sad. Don't wait, get in touch asap! I’m sure you've seen the slew of engagements happening this year, so either you or someone you know is newly engaged or getting married in 2015/2016. 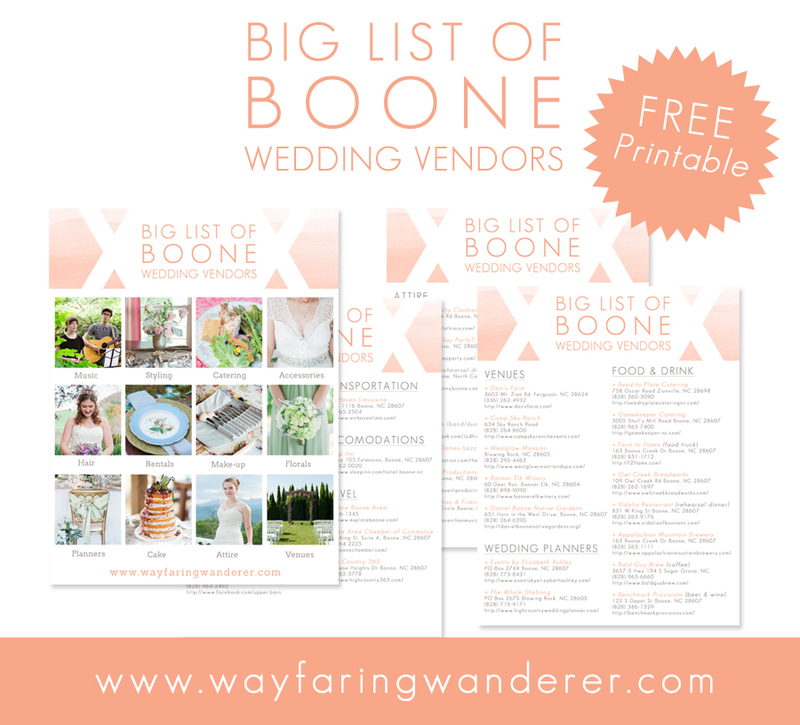 If you know of any friends or family planning a destination wedding in the Boone area that may find this vendor guide useful, please share this link with them! Thank you! » Did Someone Say Party? 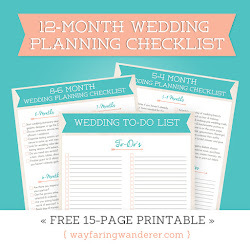 Subscribe to the Weekly Wander to get a printable copy of this list and keep it with all of your other wedding planning resources! Enter your name and email below to access a free printable version of this list! 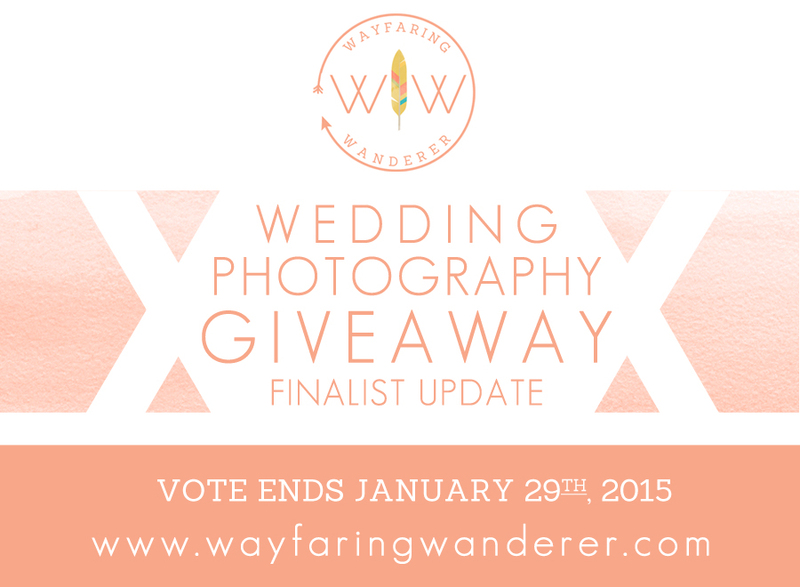 INTERESTED IN WINNING FREE WEDDING PHOTOGRAPHY?